Bio and Performance Record: Flexible was bred in Co. Kildare by Edward and Catherine Doyle, Flexible is by the 5* ISH stallion Cruising, who himself enjoyed a successful international showjumping career under Trevor Coyle. His dam, Flex, was an international winner with E. Doyle and dam to two more CSI winners, Flexing and Samgemjee. Cruising had a long and outstanding show jumping career. His Grand prix wins placings and appearances in nation cup teams include, Grand Prix – Aachen The greatest Grand Prix in the world (1999), Dortmund (1999), Lucerne (1998), San Marino (1996) and Wolfsburg (1996). Cruising is the only stallion in Ireland to have a 5* rating for his performance of his offspring in both eventing and show jumping. Cruising’s dam, Mullacrew, was an International Show Jumper. Her wins included competitions at Lucerne, Rome and Wembley. 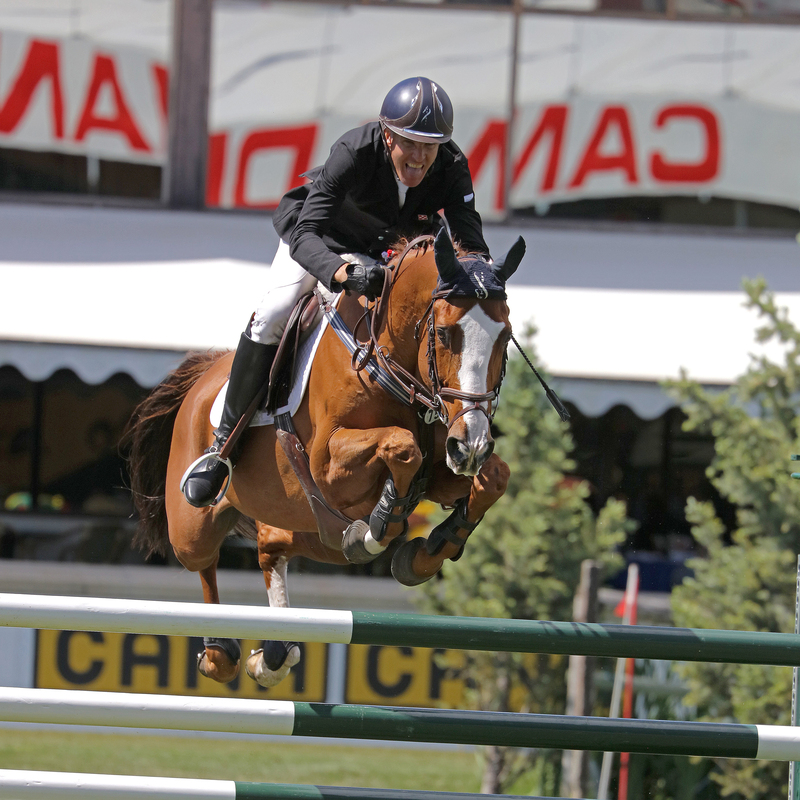 Mullacrew’s sire, Nordlys, was a very famous sire that sired a prolific number of exceptional jumpers including Quept (German Team member for many seasons) and Olympic Gold Medallist Ambassador (Italy). Cruising’s grand dam was Big Idea, who is a full sister to the well-known Irish stallion Ideal Waters. Big Idea by Waterserpent, was sire of a long line of famous International Show Jumpers including such horses as Kilkenny, Rockette, The Quiet Man and The rock. Flexible has had an illustrious showjumping career including placing 7th in the 2015 World Cup finals at the age of 19. Other highlights include 2nd 2008 World Cup Finals Gothenburg, 1st in the 2012 World Cup Finals Shertogenbosch, 8th in the 2012 London Olympic Games. He participated in 8 World Cup Finals and had an astounding 55 Grand Prix Career wins including winning the Calgary Grand Prix three times & taking top honors as 2012 USEF Horse of the Year. His final year of completion at the age of 20, Flexible won three Grand Prix including placing in the top 5 in an additional 6 Grand Prix that year before his retirement.